When it comes to my skin I will spare no expense to make sure it looks its best. Being part Asian my fine lines started showing much later & I am determined to keep them at bay. I previously tried the Green Apple eye cream and was disappinted in it and was hesitant to try this but I am glad I did.THAT said, this is my experience with this product:I LOVE IT! LOVE IT! LOVE IT!! I tried this last night for the first time & I immediately saw and felt a difference this morning. First, a small amount goes a long way. Its not a liquid but more of a gel. I did not notice a smell, which was somewhat disappointing bc I love the smell of green apples. Nevertheless, applicationwent on easily, very smooth, not tacky as some serums are. To me, it felt like a powdery texture & appearance. No shine, no obvious I just applied it. I did feel my eye area firming up within seconds of application.Second, I have VERY sensitive eyes & opthamologist tested or not, other products have left my eyes watering and/or were irritated. Not with with this.Third, and as I mentioned earlier, This morning I noticed an obvious difference, especially with the horizontal lines between my eyes and above my eyebrows. This area appeared to me, to be plumpier, not flat.Now, what I didn't mention is that after applying the serum I also used my regular eye cream from Osmotics. Maybe it was the combination of the 2 that had me smiling, I'm not sure. But I'm happy with what I saw. Today, I skipped the Osmotics so I'll see how it looks later.Whether this can also be used as a stand alone eye product, compared to actual eye creams out there (like Osmotics at $75), this is super reasonable. To my overnight experience makes it worth it! !Some of you may not experience the immediate results I have, but you won't know unless you try it OR use the product to its last drop. Effectiveness varies from person to person, so please keep it in mind before tossing it 1-2 weeks of your use. I've been using the eye treatment for a few months and I'm happy to say that my fine lines from years squinting and being outside with out sunglasses are fading! I use this eye treatment daily and it's really paying off! 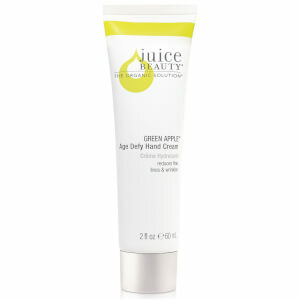 I purchased this product after hearing good things about Juice Beauty from a family member. The eye cream is moisturizing and does absorb well. However, I HATE the applicator. You must use considerable pressure to get it to release product and then the quantity released is too much. That being the case, I'm sure I'll run out of product more quickly than I should. Also, this cream doesn't help reduce under-eye circles. I'm 30 and the wrinkles around my eyes were pretty noticeable, so I decided to give Juice Beauty's Stem Cellular Repair Eye Treatment a try and to simply put it this stuff is GREAT! I've been only using it for a short period of time and I can already see a difference! 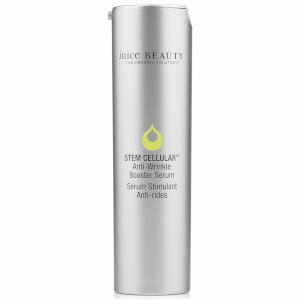 I don't have a bad thing to say about the Stem Cellular Repair Eye Treatment! Since I started using the product I have seen a huge reduction in my fine lines and wrinkles! I am obsessed with Juice Beauty's Stem Cell Eye Treatment! It has minimized my crow's feet that were driving me crazy! I saw a huge difference in my fine lines and wrinkles in just a few weeks! Great product! I've been using Juice Beauty's Apple Stem Cell eye cream for several months (although I really don't use the applicator, I just put it on with my fingers like any other eye cream). My bottle is just about gone, but I have a new one ready and waiting. I won't be without it!My crowsfeet are nearly gone, and my eyelid area even seems a little firmer. Another benefit is that it seems to have made my eyelashes grow longer and fuller. A couple months after I started using it, my esthetician asked if I was using a particular (very expensive) prescription-only eyelash growth serum because she couldn't get over how AMAZING my eyelashes looked. Apple Stem Cell eye cream was the only new add to my eye beauty routine ... so that be it. She started using apple stem cell eye cream, too, and noticed the same results!I recommend this to friends all the time. And, I plan to use it as long as it's available. This product really does work. The lines around my eyes have improved since using it. I would recommend it to anyone with lines around their eyes or just as an excelllent eye cream. DoNOT like the packaging,not enough product for the price! the applicator was to aggressive,scratch my skin.not good to apply around eye area!,just use my finger! Need to use a moisturizer after it, cause it goes on dry! I DO NOT SEE WHERE IT lifts THE EYE AREA AT ALL!